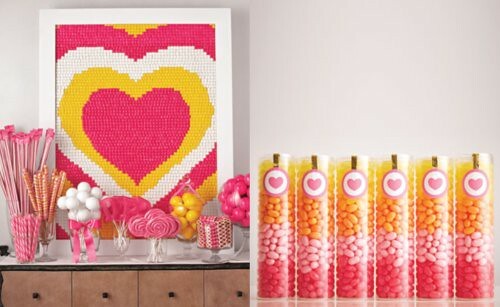 color coded candy | Hip Hip Hooray! This very sweet celebration caught our eyes while we were flipping through the summer issue of Martha Stewart Weddings. 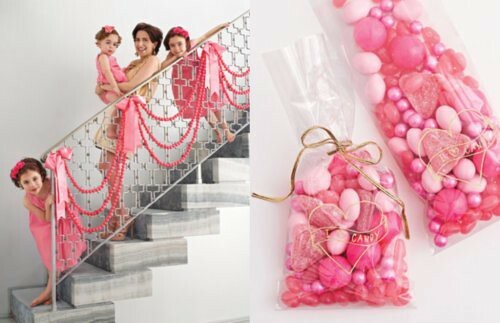 The gumball garland and color coded favors would especially translate well to a children’s party. Check out the candy glossary for a list of where to buy the prettiest of treats. I want that STAIRCASE!! Love pink, yellow and orange together.